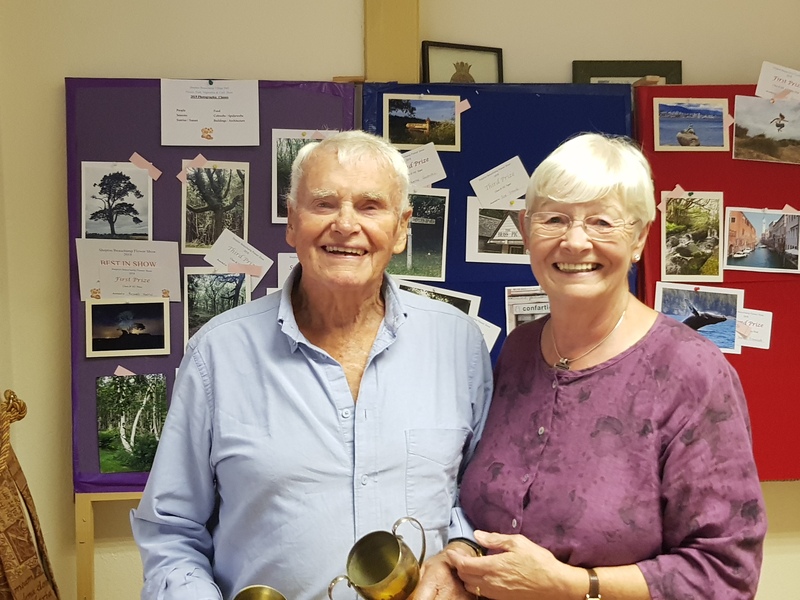 Jane Bishop, Chair of Shepton Beauchamp Parish Council keeps in the family when she presents husband, Reg Bishop with the trophy for the man gaining the most points in the 2018 Flower Show, Reg also was the most successful in the vegetable section. 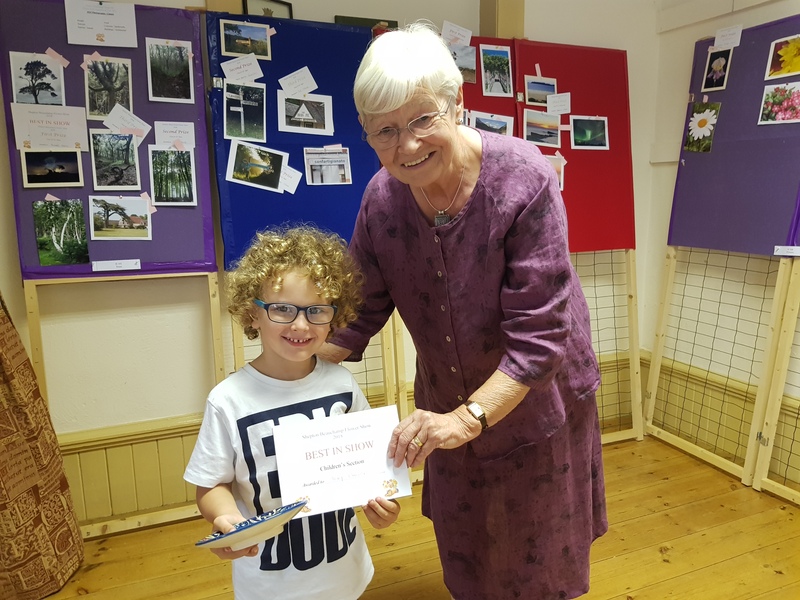 This year in spite of the weather entries were in total around the same as previous years at just over 300 due to the increase in the number of entries in the very successful children's classes. This years Dennis Chinaworks Plate awarded for the Best in Show in the children's classes was awarded to Toby Callow.